Your Private Driver: A Deal Worth Passing On? A week ago, Uber launched its new Ride Pass service in five U.S. cities: Los Angeles, Austin, Denver, Miami, and Orlando. 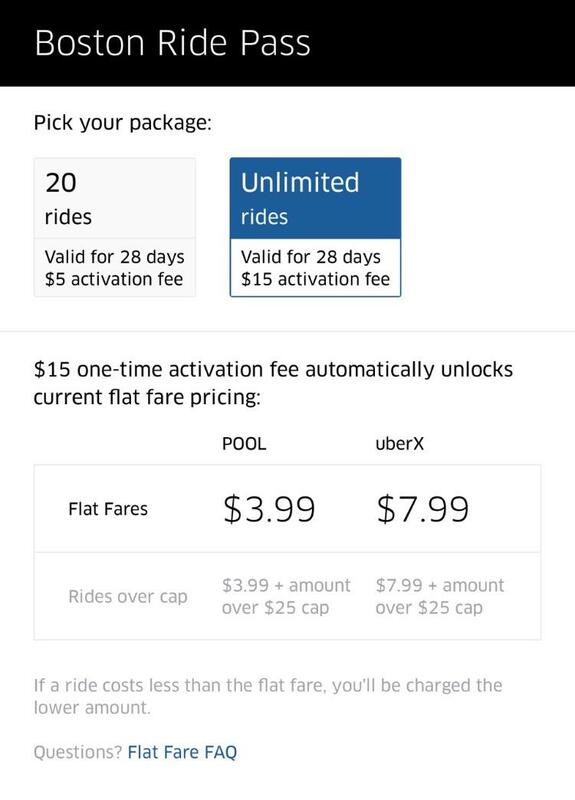 If you’re confused when I say “new”, it’s understandable; the company has offered Ride Passes before, which for a fee would get you a certain number of Pool or UberX rides for a discounted flat fare. The new Ride Pass costs $14.99 a month ($24.99 a month in Los Angeles), and offers discounted rides of up to 15 percent (no specifics) and protection from from Surge pricing. The marketing spiel is positioning this as a way to keep prices consistent during commute times, but will you really be saving money this way? I can’t speak on the other four cities because I haven’t driven in them (or even been there within the last decade or so), but in Los Angeles, $25 to lock down a non-Surge rate for a commute seems like it could be a stretch. Running the numbers, if your Uber fare one-way is around $10 (pretty common in the city for non-airport trips), you’d need to dodge high Surge pricing only three times to make the Ride Pass worth it. The thing is, high Surges aren’t that common during commute hours, or even at all in most of the city. There are a few high-demand areas though, and if you live or work in one of them, perhaps the $25 Ride Pass may be smarter insurance. Surge hotspots in Los Angeles. Red means high Surge, Yellow not so high. While the focus is on commuting, probably because these riders are the ones that give Uber the most consistent revenue, the Ride Pass may prove to be more valuable for other uses if you’re willing to plan ahead. Special events, like Rams games and Beyoncé concerts, busy arrival periods at the airport, and the 2 AM last-call crush can all cause a significant spike in demand, and Surge pricing with it. The Ride Pass can easily pay for itself with just one or two of these discounts a month. In some cases, the discounts can save your bank account from disaster; Surge rates can get as high as 4X at LAX and over 6X after popular concerts. Pay $25 now to save $200 later? Seems like a no-brainer to me. Of course, this advice is assuming that the way Uber has been calculating Surge pricing doesn’t change anytime soon. In other markets, like Chicago, it already has. Uber has replaced the Surge multipliers with flat dollar-amount markups. So instead of a 2X Surge, you may get a +$2.50 Surge instead. If any of the Ride Pass cities end up switching to this system anytime soon, that monthly fee will look a lot less attractive, and the math to determine whether or not it will be worthwhile will get a lot fuzzier. I mean, if I was really cynical, I might even say that Uber would get everyone hooked on the value of the Ride Pass before switching the Surge system while they’re not paying attention, thus devaluing this monthly subscription that they’re already locked into. But no, they’d never do that, I’m sure.